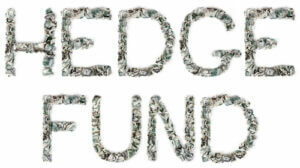 The phrase ‘hedge fund’, made out of crimped 100$ bills. Isolated on white background. Photo courtesy of Shutterstock. When you have a goal as a student, you should believe that you can achieve it no matter what anyone else says. The key is not to give up. Learn about the experience of one high school student who obtained a hedge fund internship by having persistence in the following post. I’ve been reading WSO for a while but never really posted so I figured I may as well start now. I am a freshman at a liberal arts non-target. For a while I’ve been interested in the markets and economics and have been absorbing and using as much knowledge as I can. My fascination with business goes back farther, I started a product review website when I was 16 that gave me a crash course in the real world (I promise this all relates to finance). I made over 900 cold calls that summer to just about everyone in the industry to try and get someone to partner up with me and let me feature their product. The first calls were a disaster, then I quickly learned how to sell. Since then I’ve partnered with everyone from backpack companies to luxury watch and car manufacturers. It didn’t come easy. I’ve been told to leave stores I even had a guy curse me out on the phone because “You’re in F&&*% high school you can’t do jack S*&% for me”. That is a direct quote. he apologized via email about a year later. My point is don’t ever ever give up. Don’t ever let someone say you aren’t old enough. Anyone who calls you lucky is just afraid of hard work. Actually luck may as well be deleted from your vocabulary. You control your own destiny.